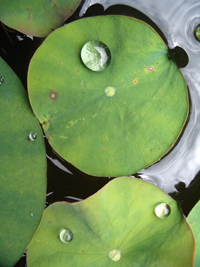 Water can be used multiple times before it is released into the environment. While contained water can be treated by service ecosystems. A Service Ecosystem has all the components of a natural ecosystem - soil, water, plants, microbes - but is designed to provide a service to humans, such as treating waste water so that it can be recycled. 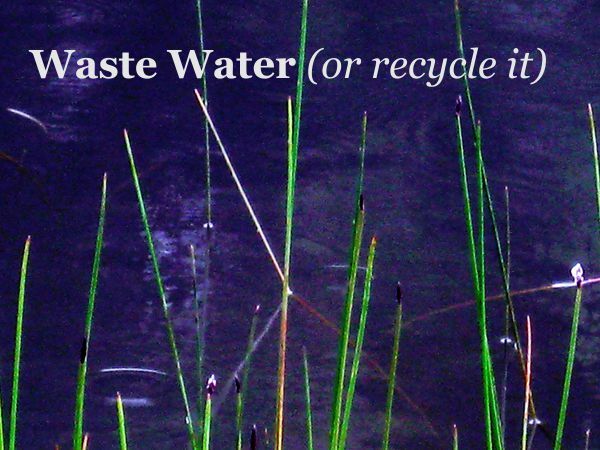 A good system saves energy, recycles water, recycles nutrients and reduces contaminants. Greywater - We design and build greywater sytems that are easy to permit, recycle tens of thousands of gallons annually, and are cost competitive with drip irrigation systems. Reduce your water and sewage bill. Constructed Wetlands - are effective for waste water rich in organic matter, such as winery or brewery waste or livestock facility runoff. Septic and Small Development - Interested in effecient septic systems or small waste water trearecycle watertment plants? These can be effective in difficult environments such as sandy soils, high groundwater, or clay? Many ecologically effecient systems are now approved for use. Purple Pipes - Water from the wastewater treatment plant can be recycled in agriculture through purple pipe projects.